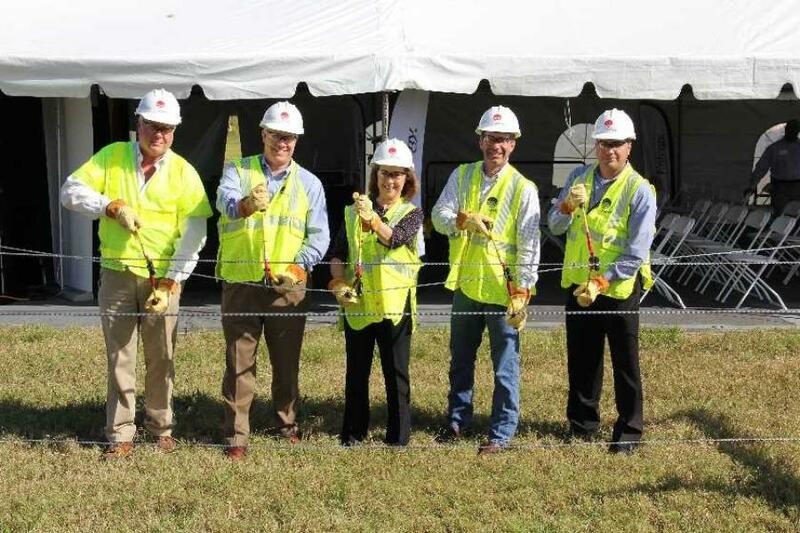 Entergy officials, business and community leaders gathered at the GT OmniPort Industrial Park to “cut the wire” on the Port Arthur Reliability Transmission Project, an approximately $70 million investment in Southeast Texas. Entergy officials, business and community leaders gathered at the GT OmniPort Industrial Park to "cut the wire" on the Port Arthur Reliability Transmission Project, an approximately $70 million investment in Southeast Texas. Once completed in 2020, the transmission project will provide reliable power to both existing and future customers in the growing area. "As the state's population continues to grow, Entergy is investing in new infrastructure to meet the growing demand of the region, and ensure that everyone has access to reliable energy," said Sallie Rainer, Entergy Texas president and CEO. "Our investment today is a critical piece meeting that commitment to customers." The Port Arthur Reliability Transmission Project features 13 mi. of a new 230-kV transmission line that will connect two new 230-kV substations, the Garden Substation and the Legend Substation that will be located near Central Gardens and Port Acres, respectively. In addition to providing operational flexibility to Southeast Texas, the project ensures Entergy maintains dependable transmission service that is compliant with North American Electric Reliability Corporation reliability standards. The Port Arthur Reliability Project is one of nearly $600 million in transmission projects that Entergy Texas has planned between 2018 and 2020 to serve existing and future customers in Southeast Texas. It also is among nearly $2 billion in overall investments that will develop the next generation of energy solutions, including innovative technology to help customers take great control of their electric rates.